Through practical guidance, education, and compassionate support, we seek to relieve the emotional suffering while preserving the dignity and integrity of the family as they make meaningful plans to honor the life of their baby, regardless of the length of their baby’s life. We provide hope and healing for women and their families on issues related to childbearing, etc. A place for women to feel comfortable looking for real, physical comfort, herbal remedies and spiritual nurturing, as well as a space to find resources, honor their grief and express their loss. The site also wanted to create a place for those looking to support someone who has lost a baby. The Katherine Elizabeth Foundation exists to provide Hope, Support, and Healing to the families that have encountered a negative or fatal prenatal diagnosis through the term of their pregnancy, after birth, or in the event of a pregnancy loss through a miscarriage, stillbirth, or newborn death. A Catholic ministry for bereaved mothers and bereaved fathers who have experienced the death of their baby through ectopic pregnancy, miscarriage, stillbirth or infant death up to one year old. This Catholic ministry also welcomes bereaved parents of other Christian denomina -tions, bereaved parents of other faiths and bereaved parents of no religious affiliation who are struggling with the very notion of faith. Its mission is to serve those whose lives are touched by the tragic death of a baby through early pregnancy loss, stillbirth, or in the first few months of life. Sudden infant death syndrome (SIDS) is the unexplained death, usually during sleep, of a seemingly healthy baby less than a year old. 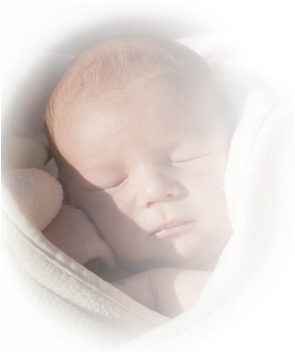 SIDS is sometimes known as crib death because the infants often die in their cribs. A miscarriage is an event that results in the loss of a fetus during early pregnancy. It’s also called a spontaneous abortion. It typically happens during the first trimester, or first three months, of the pregnancy. According to the American Pregnancy Association (APA), 10 to 25 percent of all clinically recognized pregnancies end in miscarriage. Stillbirth support, resources, stories, comfort kits, education, community, what not to say, starting over after loss.